Looking for a luxury villa perfect for a stylish holiday? 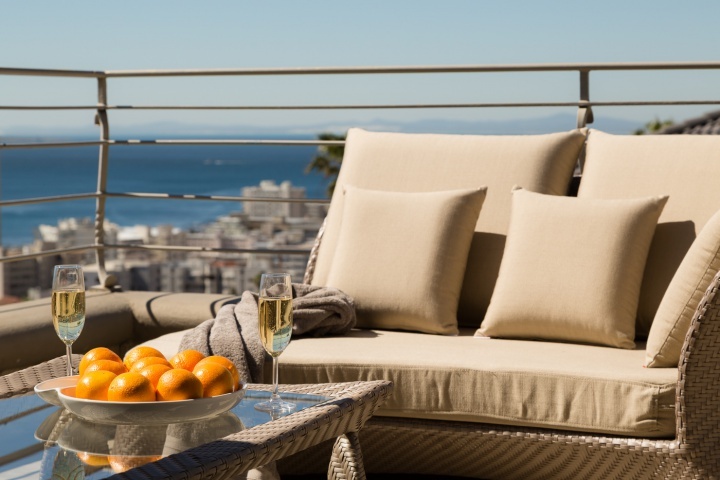 Consider Fresnaye Cape Town which offers a wide variety of luxury holiday rentals boasting superb finishes and all the modern comforts of home and more. This affluent suburb, situated between Sea Point and Bantry Bay, offers visitors easy access to some of Cape Town’s premium attractions and dazzling soft white sandy beaches. 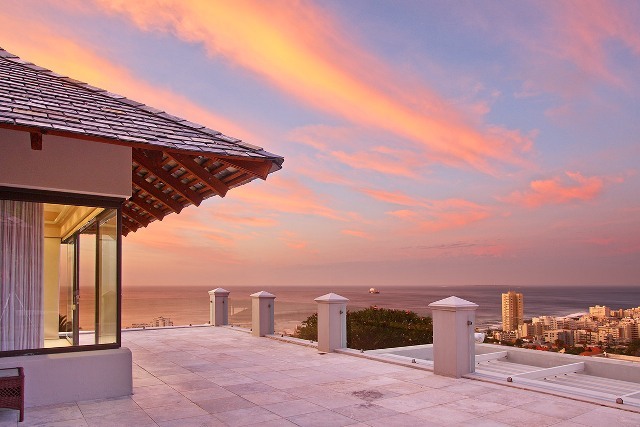 Fresnaye Cape Town is largely wind-free, another reason why it is highly sought after as a holiday destination. This beautiful four bedroom luxury villa offers spectacular sea views and a warm and inviting atmosphere. The villa is beautifully decorated in timeless neutrals with spicy accents and comes complete with a private cinema room, heated salt water splash pool and ‘Zen’ garden. Croix Villa is an immaculate four bedroom luxury villa situated high up in Fresnaye Cape Town with spectacular views and gorgeous entertainment areas. The interior of the home combines a modern and sophisticated colour palette with luxurious fabrics and furnishings to create an aesthetically pleasing and relaxing environment. Fresnaye Dream is a stunning three storey, six bedroom villa situated only minutes from the Waterfront and Camps Bay promenade. 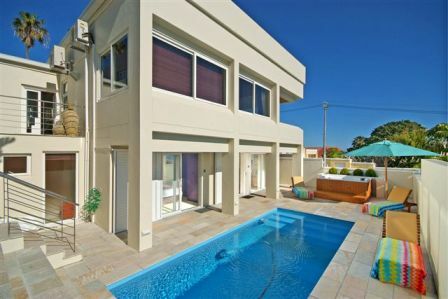 It is an entertainer’s delight with its spacious kitchen and large family rooms that open up onto an expansive balcony. Guests can also look forward to stunning mountain and sea views in one of Cape Town’s most breath-taking settings. Luxury Villa offers the most upscale modern villas to ensure that you experience the holiday of a life time. 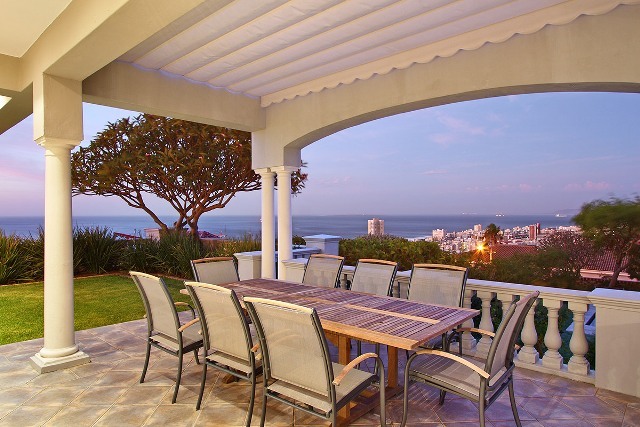 To find the Fresnaye holiday rental best suited to your particular needs, contact a Luxury Villa consultant today. 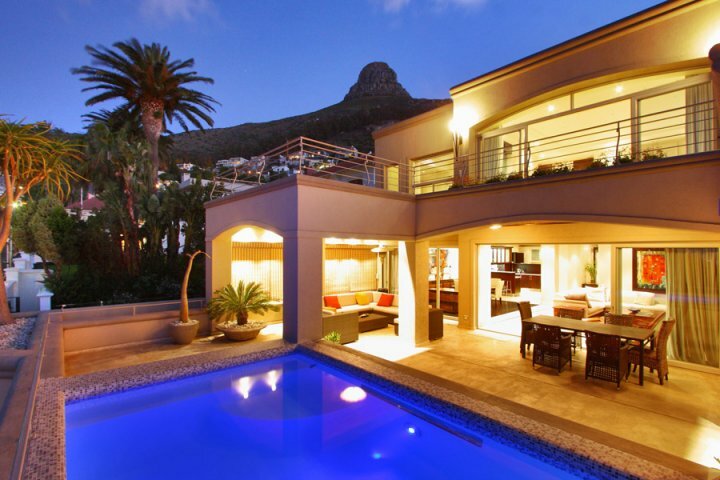 Searching for luxury villa accommodation in one of Cape Town’s most fashionable residential areas? 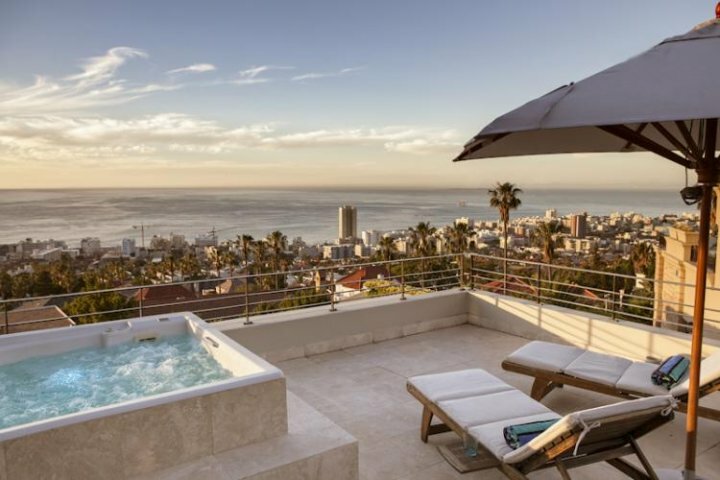 Look no further than these exquisite Fresnaye holiday rentals. Fresnaye is an affluent suburb situated between Sea Point and Bantry Bay and allows for easy access to Cape Town’s many attractions as well as the Central Business District. Fresnaye is well protected and largely wind free which is one of the many reasons it is so popular with locals and tourists alike. For business, for pleasure and for everything in between, Luxury Villa has the Fresnaye holiday rental to suit your needs. Croix Villa is an ultra modern four bedroom holiday villa, decorated in calming shades of grey, with state of the art finishes. The home has some of the most spectacular views and offers guests the added luxury of a large swimming pool, a stunning Jacuzzi and a wood burning fireplace. Fresnaye Dream is a beautiful three story, six bedroom villa situated in the sought after, wind free area of Fresnay/Bantry Bay. It is an entertainer’s delight with a lovely spacious kitchen and large gathering rooms that open up to breathtaking sea and mountain views. This exclusive luxury villa is the ideal holiday rental for those accustomed to a lifestyle of superior comfort and style. Each bedroom of this six bedroom villa is fitted with its own private walk in wardrobe, under floor heating, air conditioning, a plasma/LCD TV not to mention a spa bath and heated towel rails in all of the six en-suite bathrooms! 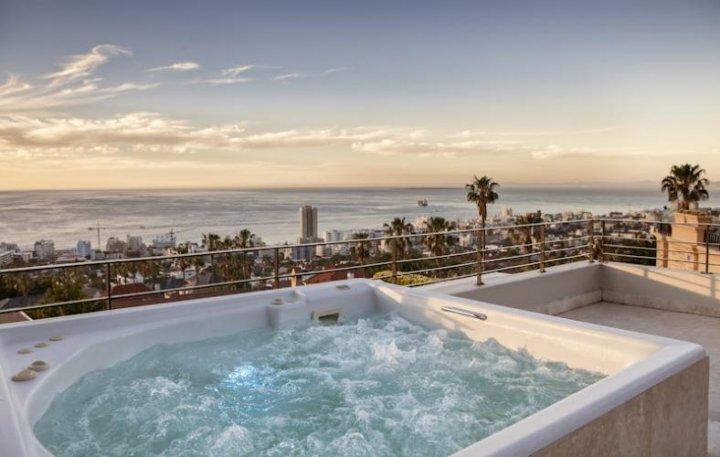 Combine these features with the state of the art, sound proof private cinema, the swimming pool, Jacuzzi and awe-inspiring views and you have yourself one of the most sought after villas in Fresnaye. Fresnaye is a paragon of virtuous holiday homes, providing you and your loved ones a serene peace of mind and security. Walk along the tropical beaches on the warm white sand or plan a mountain hike up some of the most beautiful ranges on the planet. Fresnaye ensures quality holiday villas for anyone seeking the vacation of a lifetime! Enjoy a magical night away with the family and friends in this palace which sleeps eight people with ease. Have a glass of fine Cape wine while laughing and reminiscing under the canopy of stars. The stunning design will leave the occupants of the house intrigued for hours on end as they explore the wonders that is the Morrocon Villa. Spacious, divine and majestic, this haven of delight fits twelve people within its walls for a time of frivolity and partying! Entertainment features like spacious living and dinning room areas, top quality surround sound DSTV with the latest in European decor, this is a jewel on today’s market! Behold the most stunning views in Cape Town waiting just outside your window! This six bedroom holiday villa is one of the most stunning properties available, providing you with a crystal clear pool and bubbling Jacuzzi, panoramic views from most bedrooms, a security guard, and a divine entertainment area with a pool table and indoor cinema with surround sound! Book today for your idyllic Fresnaye holiday!